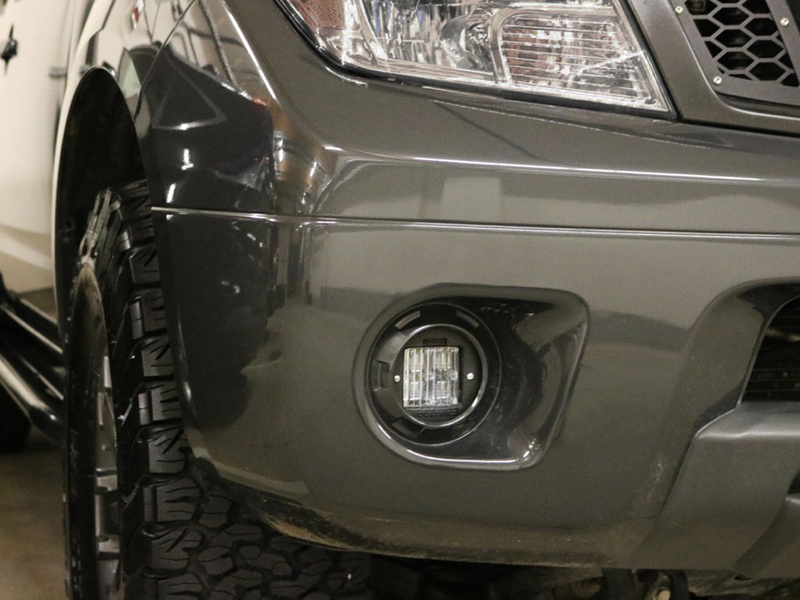 The Rigid Industries 2009-2015 Nissan Frontier Fog Light Replacement Kit allows you to mount a pair of Rigid Dually LED lights (included) in your OEM fog lamp locations. This kit gives your new Dually Fog Lights a clean, from-the-factory look without having to drill or cut into your bumper. Made from high quality stainless steel, these adaptor plates are powder-coated black for a long-lasting finish. 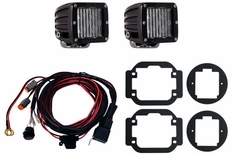 This kit comes with everything you need to install D-Series lights in both fog light locations and is backed by Rigid Industries' limited lifetime warranty. The part number for this item is Rigid Industries 465843 and it fits 2009-2015 Nissan Frontier trucks.